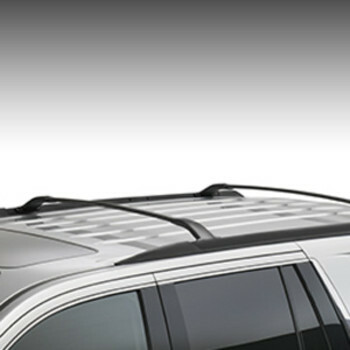 Add function and style to the factory roof rack of your vehicle with this Roof Rack Cross Rail Package. 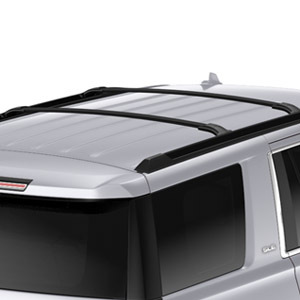 These cross rails are the base for mounting other cargo management accessories.. This product replaces 23206370. Genuine GM Auto Parts at a Genuine Discount for your GM car or truck. We know you have many choices when shopping for GM parts and we appreciate the opportunity to earn your business. Precision engineered, Genuine GM Parts are original equipment parts specifically made and tested to help you keep your General Motors vehicle running at it's best. Your GM vehicle was designed with these exact replacement parts in originally. It pays to keep it that way. You can depend on the genuine GM auto parts to provide the fit and reliability you expect from GM. Many and professional technicians rely on Genuine GM parts to repair and maintain their GM car or GM truck. So if it is a Chevrolet Part, Buick Part, Cadillac Part, GMC Part, Hummer Part, Saturn Part or a Pontiac Part these are your vehicle's replacements. GMPartsDirect.CO offers a full line of genuine GM auto parts, each one engineered and manufactured to exact standards your GM car, truck, or SUV was designed with. At GMPartsDirect.CO we only sell genuine GM parts. Which means you will only receive factory authorized GM replacement auto parts produced by General Motors for your GM car or GM truck. We do not sell reproductions or copies we sell General Motors Original Equipment (OEM) auto parts. We carry an extensive line of GM parts and GM accessories, all at discount prices. We offer a number of shipping options to ensure you will receive your GM auto parts quickly and economically. Contact us at parts@gmpartsdirect.co with any questions.